I’m an electric vehicle enthusiast talking about using electric cars on the road. 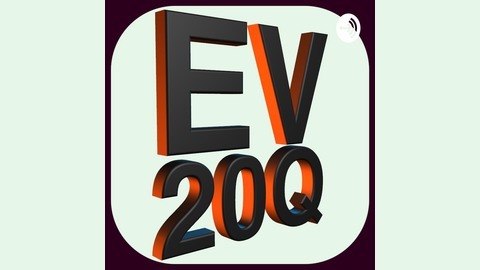 In the podcast I listen to EV owners talking about the nitty-gritty of driving and electric car. 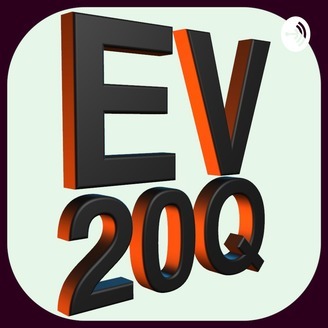 EV20Q.com. Maybe I was just stupid to believe what the GPS was telling me. As soon as I made the turn it looked a little bit narrow. It said turn right and then turn right again – Then there was nowhere else to go. I had to reverse back and then I saw another possibility to go forwards and took it. I should have reversed back further and ignored the instructions of the GPS completely. After squeezing through a very narrow alleyway I ended up in a pretty little French village square. I was able to ask for help from someone sitting at a table at a bar. My French is really bad but he was able to help me and tell me I had to return down the narrow street I had just come through. At the end of my small detour I was surprised I managed to survive. I was breathing hard and sweating rather a lot. A huge moment of relief when I made it back to the main road. I was then able to continue round to the car park I was looking for in the Ceret. My bad luck continued with finding the Museum of Modern Art was closed until next month. I won't be able to return until October because my day off is changing to a Monday. Museums tend to be closed on Mondays! So I didn't stay in Ceret very long even though it's this nice small town. Very pretty and very French. For the next part of the journey I went to another nearby town. I had used the charger in this town previously but I haven't bothered to check the charging speed. This time I wanted to see how many kilowatts were going into the car. The charger in Ceret only puts out 3 kW and I was happy to find that the charger in this other place was giving out 6 kW. The cost of using either of the charges was based upon time. It would cost much more to use the slow charger unless you are staying overnight. It was picnic time while the car was charging. I added about 6% into the battery. I would have liked to have stayed for longer but was short on time. This shortness of available time also stopped me from using a rapid charger on the way back home. When I finally got back into the house I had a 3% left in the battery. Rosie, my Nissan leaf 2018 was talking to me telling me to go and find a charger as soon as possible. I could have pressed the button on the dash screen. This would have given me options for finding the nearest chargers. I didn't need to do that as I was very nearly home. On account of not being able to use a rapid charger on the way back home and being short of energy in the battery I wasn't able to use the car in the evening as planned. I had to be a passenger in my wife's fossil fuel burning car. It would have been so much nicer if my wife also had an electric vehicle. Her next car will have to be electric. Mind you, she might never ever buy another vehicle because the last one she kept for 26 years.